With the warm weather finally here, there’s nothing quite like ice cream for a decadent summer time treat. Paul and Jennifer Leddy opened Willard Scoops in the summer of 2009. 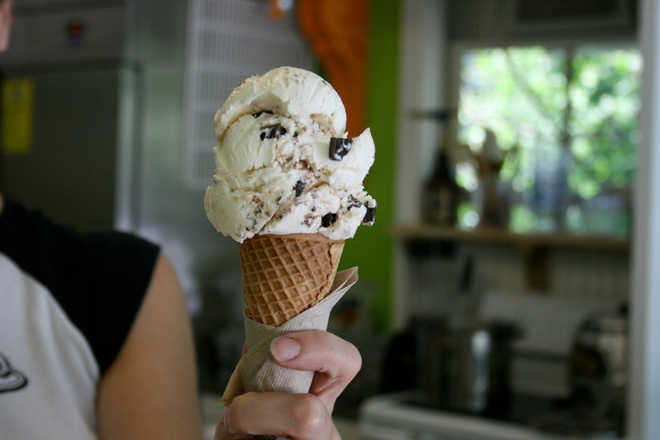 The ice cream is made on the premises from fresh local ingredients whenever possible. It’s thick, rich and delicious. But it’s the denseness of flavor that truly sets this ice cream apart, it’s darn right magical. Nestled in huge tubs for all to see is a rainbow of flavors - traditional vanilla and strawberry sits next to the more unusual ginger and chocolate salt. Mixed-in are some favorites for the kids, like Halloween and S’more. The most popular seller is salt caramel nut, which reportedly flies out the door in the summer. It is a rich caramel ice cream, with a hint of salt, and an explosion of nuts. Fresh roasted almonds, cashews, and pecans are found in each and every bite. The mint leaf chip ice cream was a superb blend of the traditional combination of mint and chocolate, but this creamy delight was really brought alive by the addition of pieces of real mint, pleasant bursts of freshness amidst the cream and chocolate. Chocolate coconut is another winner. It is a light chocolate ice cream with chunks of freshly roasted coconut. The texture of the coconut juxtaposed against the smooth chocolate flavor is amazing. If you’re a coconut lover, this is highly recommended. 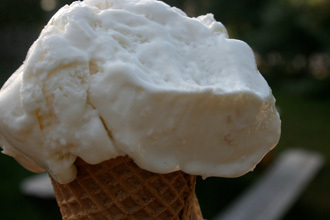 In addition to regular sugar and plain cones, Willard Scoops carries gluten free cones. If you are looking for something fruity, grab a fresh made smoothie with local berries. The prices at Willard Scoops range from $3.25 to $6.00. If you are looking for a major splurge, try the hot fudge sundaes or a frappé. After grabbing your cone, you can sit in the large parlor window watching the world go by, or sneak away for a few quiet minutes in their small hidden garden. Perfection.